PHOENIX, Aug. 23, 2012 /PRNewswire/ -- Expanding the availability of renewable natural gas, leading solid waste operator Republic Services, Inc. (NYSE: RSG) announced today an agreement to recover landfill gas from its North Shelby Landfill in Millington, Tennessee for multiple uses including as a vehicle fuel for its growing natural gas-powered fleet. The agreement with Clean Energy Renewable Fuels (CERF), a wholly-owned subsidiary of Clean Energy Fuels Corp. (Nasdaq: CLNE), is the second of its kind between the two industry leaders, with the first, at Republic's Sauk Trails Landfill in Canton, Michigan, which is expected to come online in September 2012. Clean Energy Renewable Fuels will build the high-BTU plant to process landfill gas, a natural byproduct of decomposition, and inject it into the US natural gas network. The gas may be compressed and distributed for a variety of different uses, including vehicle fuel and as renewable power or other industrial use customers. During the first year of operation, the plant is anticipated to produce approximately 4 million diesel gallon equivalents of renewable natural gas fuel annually. If the landfill gas is used to fuel trucks, it could fuel about 260 trucks for a year. Production is expected to steadily increase to more than 5.7 million diesel gallon equivalents annually during the first 10 years of operations. Production is expected to begin in late 2013. 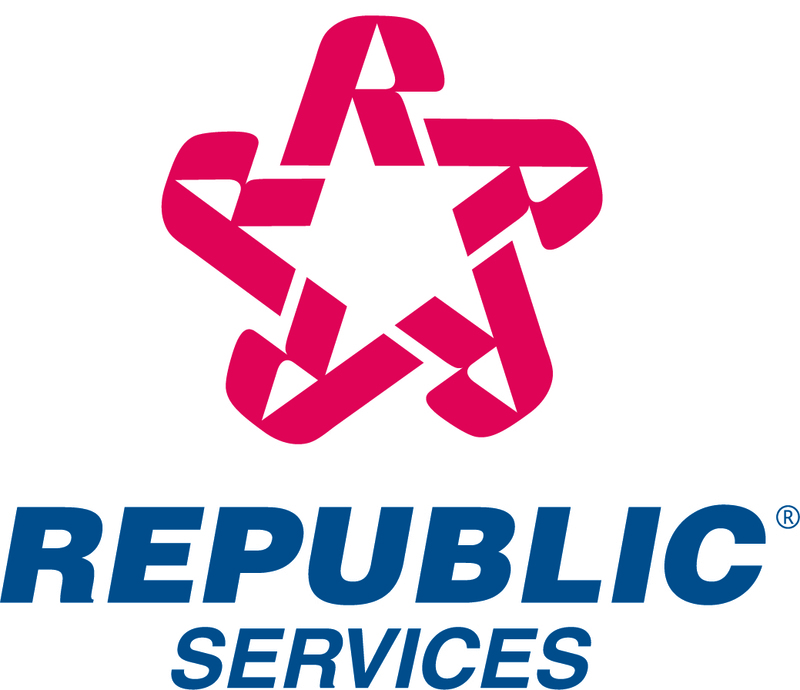 "This relationship allows us to make the highest and best use of the energy potential in our landfills," said Brian Bales, executive vice president of business development for Republic Services. "We are delighted to again partner with Republic for production of sustainable renewable natural gas. This project will help Clean Energy achieve its goal of supplying renewable natural gas fuel to an increasing number of natural gas vehicles operating across America," said Andrew J. Littlefair, Clean Energy president and CEO. Used for vehicle fuel, environmentally friendly renewable natural gas derived from landfill biogas generates up to 88 percent fewer greenhouse gas emissions than diesel fuel or gasoline. Forward-Looking Statements This news release contains forward-looking statements within the meaning of Section 27A of the Securities Act of 1933 and Section 21E of the Securities Exchange Act of 1934 that involve risks, uncertainties and assumptions, including statements about the commencement of commercial operations of the renewable natural gas plant, the amount of renewable natural gas that will be produced by the plant and the potential use of the renewable natural gas as a vehicle fuel, for direct use or for power generation. Actual results and the timing of events could differ materially from those anticipated in these forward-looking statements as a result of several factors including construction and permitting delays, difficulties in meeting and maintaining compliance with local pipeline specifications for pipeline injection, lack of performance or unanticipated mechanical or operational issues of the renewable natural gas plant or lack of availability of suitable landfill gas from the landfill for processing to pipeline quality due to well field management or other gas collection issues. The forward-looking statements made herein speak only as of the date of this press release and the company undertakes no obligation to publicly update such forward-looking statements to reflect subsequent events or circumstances.